Yop, still happy for him, he deserves it. I think Preston was underrated in his time here. If all you're looking at are sacks you're missing the big picture. Agreed but it's not like he was a monster playmaker in the run game either. Effective run defender and got more of a consistent rush than his sack totals would indicate. But he doesn't have elite speed off the edge and lacked the game changing plays that you would want from a guy you're paying that much. He would get close to the QB, but if there wasn't an intense push up the middle from Allen and Ioannidis on the play you didn't see Preston getting home too much. He's a decent pass rush cog in the wheel, he's not going to generate pass rush independently. He needs a stud or two around him. But at this price he's being paid to produce like a stud. 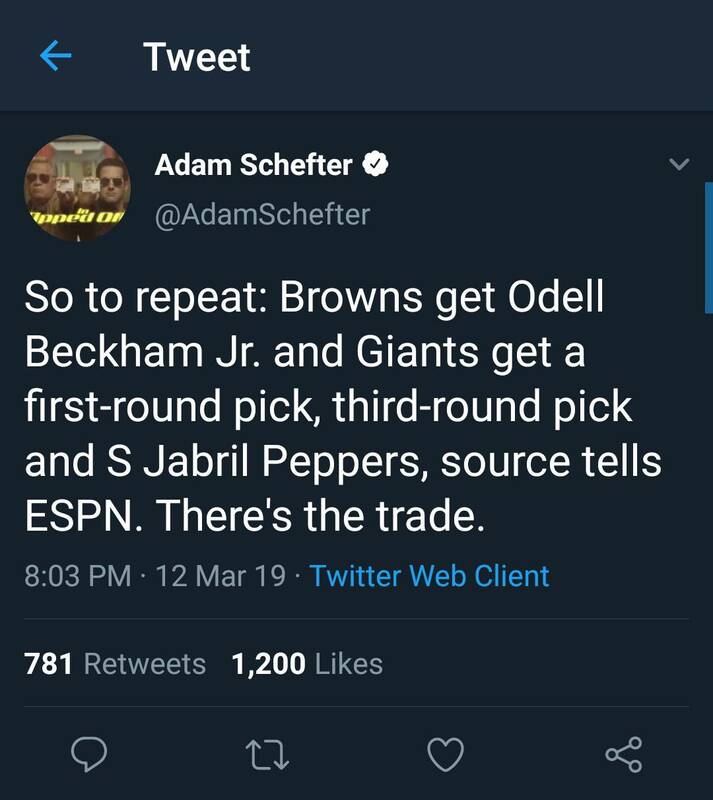 The team is right to let him go to Green Bay at this price. I don't mind letting him walk for that $$ but at the same time it opens up a hole on the D. He was solid and didn't miss any time either. Hmm, I had no idea Ty Nsekhe's contract was up. The #Bills are signing OT Ty Nsekhe, as @AdamSchefter said. It's a two-year deal worth up to $14.5 million with $7.7 million in guarantees, per agent Vincent Taylor of @Loyalty24_7. 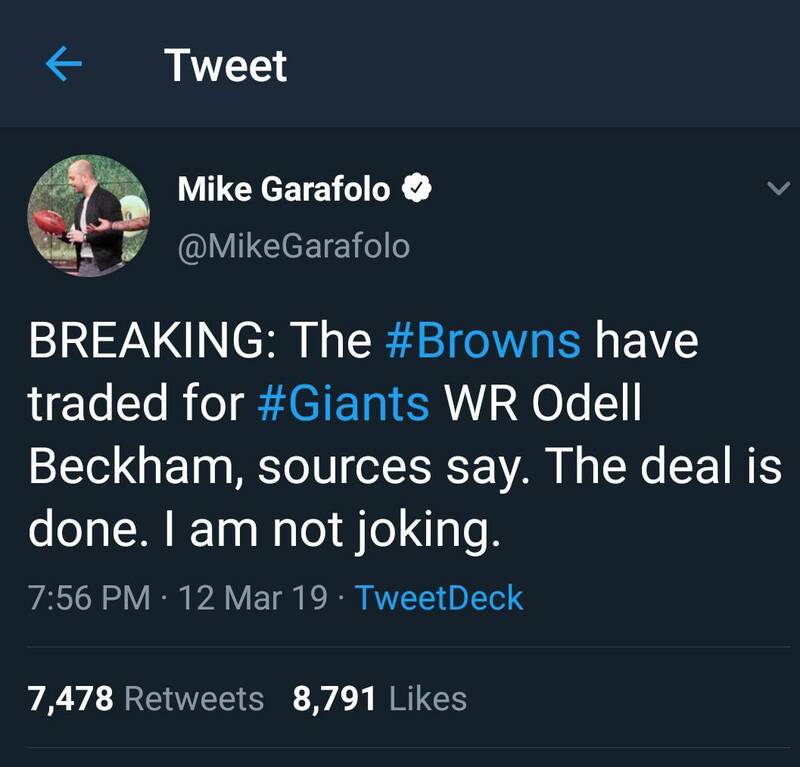 OBJ traded to the Browns! Here are the trade details. Gmen get a lot in return including a Collins replacement.